Amie and Paul are quite simply a lovely down to earth couple who are so comfortable around each other they're naturals in front of the camera. As we walked past the kids play area at Avenham Park in Preston, Paul, with the mischievous look of a kid in his eyes saw the SS Avenham, and they jumped in! 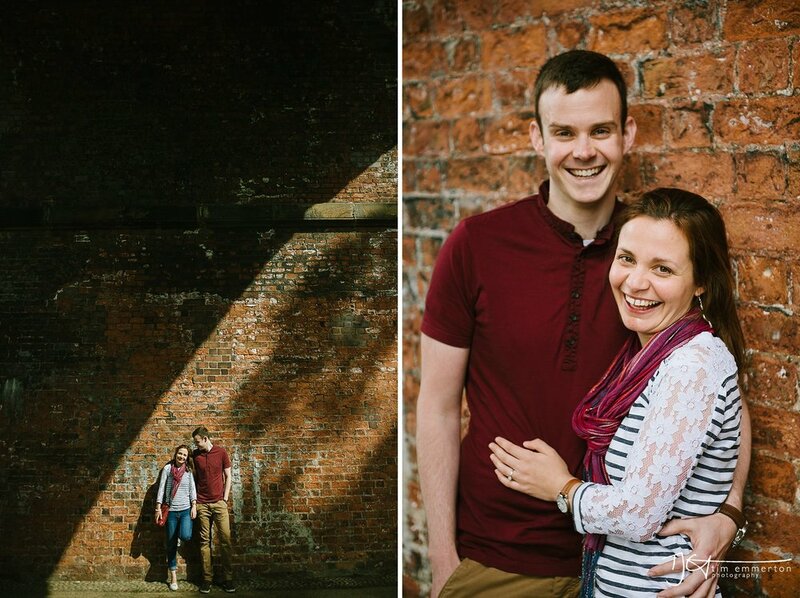 They booked me back in July 2012 and not having seen them for two years it was lovely to catch up for a pre wedding shoot a few months before their wedding at Beeston Manor. As it turned out this was an early shoot as the forecast said rain at 11am and, typically, didn't rain until the evening but we had a mix of gorgeous light and missed the harsh midday sun!